Pavers Driveways VA are the experts when it comes to designing and building a flagstone patio. 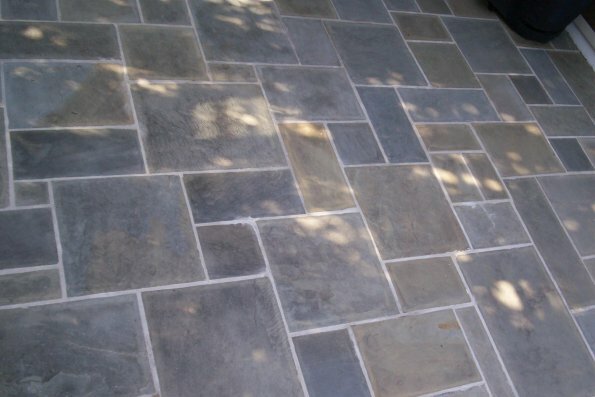 Flagstone is one of the best materials for outdoor patios due to its natural look. Flagstone is resilient and strong and will last for many years to come. Outdoor flagstone patios have a very natural and organic look. There are endless options when using flagstone to construct your patio. Flagstone comes in various styles and sizes ranging from square cut flagstone to irregular shaped flagstone. Pavers Driveways VA designs and installs custom quality flagstone patios in Fairfax, Reston, Herndon, Lorton, Great Falls, Falls Church, Maryland, Northern VA, and Washington DC. Our most popular flagstone includes Pennsylvania Flagstone, travertine, Pennsylvania bluestone, Vermont slate, reclaimed granite, limestone, slate, quartz, Tennessee limestone, and sandstone. Flagstone patios can be dry laid on a sand bed or set in mortar on a concrete base. We offer various outdoor patio options including but not limited to flagstone patios, brick patios, stone patios, concrete patios, and paver patios. We select quality flagstone, brick, concrete, and pavers for our clients. Please feel free to contact us for a free consultation.